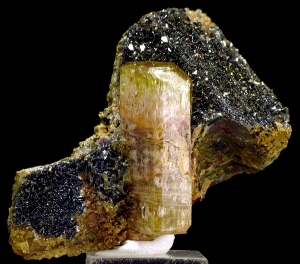 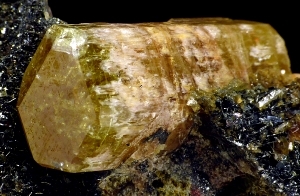 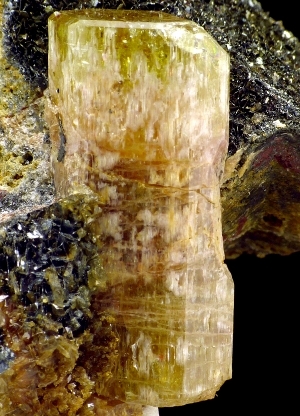 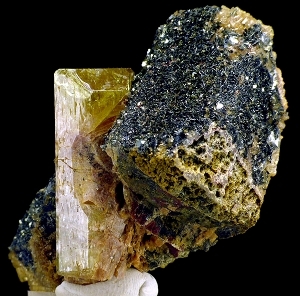 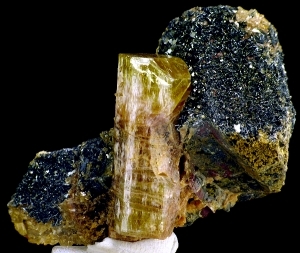 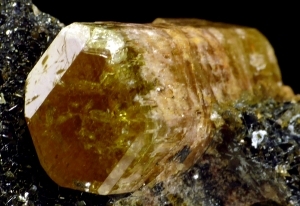 Specimen from recent and very unusual find of the yellowish-pinkish apatite associated with pseudomorphs of hematite, quartz and actinolite probably after pyroxene. 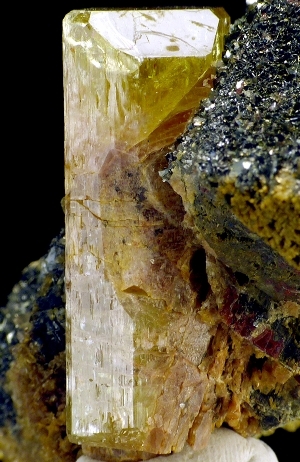 Good contrast and unusual association! 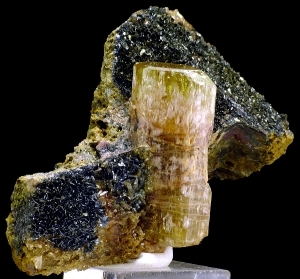 Crystal size is: 2.7 x 1.4 cm.